A premium designer wall clock which can be customised by three of your best photos along with a name or a message. The clock comes with a stylish raised protective sheet which keeps the clock hands safe. 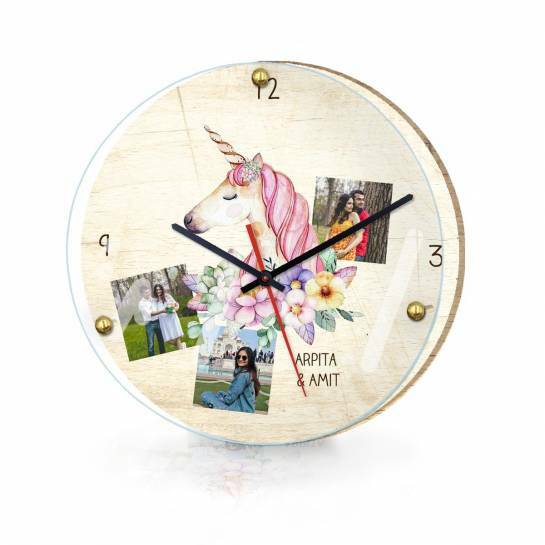 Its unique wall clock to gift to your dear ones.